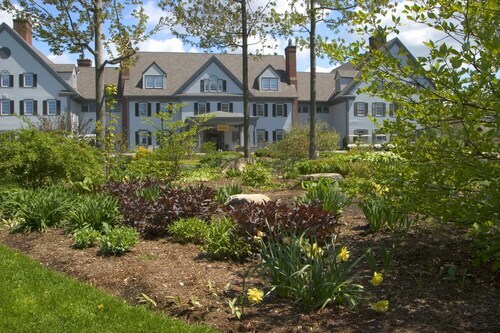 One of Vermont's largest hotels and conference centers, this hotel is surrounded by 5 ski areas and is within a half-mile of the University of Vermont. Downtown Burlington and the airport are within 2 miles. Overlooking Lake Champlain and the Adirondack Mountains, this hotel is 3 blocks from picturesque Church Street Marketplace, brimming with shops and restaurants. The Burlington airport is 4 miles away. 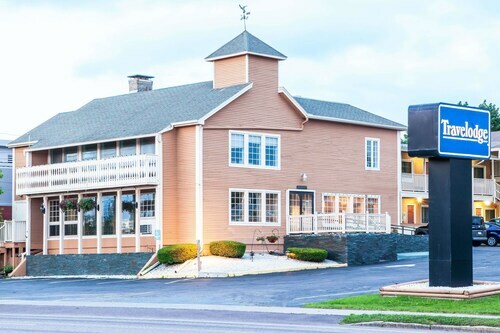 This family-friendly Essex Junction hotel is located in the suburbs, 2.8 mi (4.6 km) from Champlain Valley Exposition, and within 9 mi (15 km) of Saint Michael's College and Lake Champlain. Champlain College and University of Vermont are also within 12 mi (20 km). 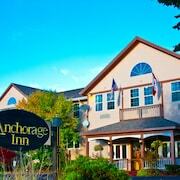 Situated near the airport, this hotel is within 1 mi (2 km) of University Mall and University of Vermont. Lake Champlain and Church Street Marketplace are also within 3 mi (5 km). 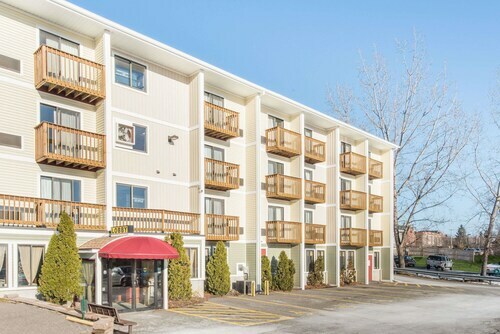 Located in the heart of South Burlington, this motel is within 1 mi (2 km) of University Mall and University of Vermont. Lake Champlain and Church Street Marketplace are also within 3 mi (5 km). 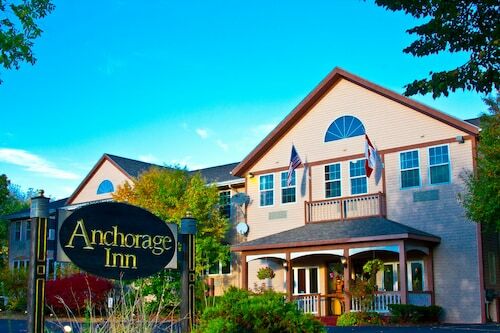 Situated near the airport, this hotel is 0.1 mi (0.2 km) from Saint Michael's Playhouse and within 3 mi (5 km) of University of Vermont and Church Street Marketplace. Saint Michael's College and Champlain Mill are also within 1 mi (2 km). 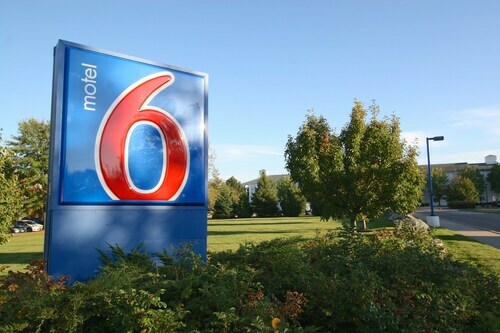 Situated in Colchester, this motel is 1.1 mi (1.8 km) from Champlain Mill and within 3 mi (5 km) of University of Vermont and Church Street Marketplace. Saint Michael's Playhouse and Saint Michael's College are also within 2 mi (3 km). 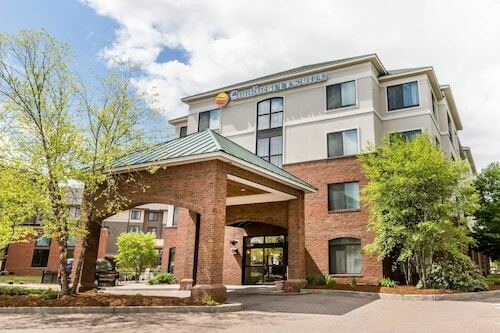 Situated in South Burlington, this hotel is 0.7 mi (1.1 km) from University Mall and within 3 mi (5 km) of University of Vermont and Church Street Marketplace. Waterfront Park is 2.7 mi (4.4 km) away. This family-friendly Burlington hotel is located near the airport, within a 10-minute walk of Church Street Marketplace and Waterfront Park. Champlain College and University of Vermont are also within 2 mi (3 km). 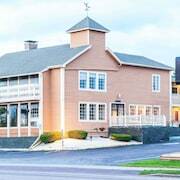 Situated near the airport, this hotel is within a 15-minute walk of Magic Hat Brewery and Lake Champlain. Overlook Park and Red Rocks Park are also within 3 mi (5 km). How Much is a Hotel Room in Burlington? 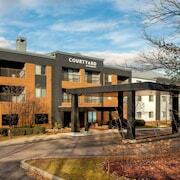 Hotels in Burlington start at $68 per night. Prices and availability subject to change. Additional terms may apply. Looking for an elegant and affordable room in rustic Burlington? 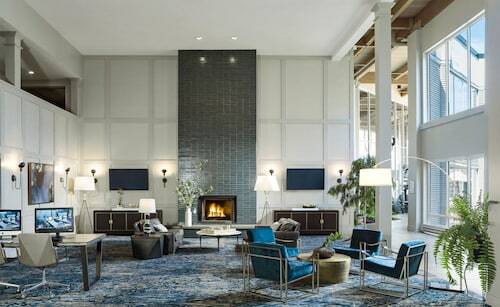 Use Travelocity to compare prices, customer reviews, and star ratings to find the best deals on hotels in Burlington, Vermont. Hotels can be found quickly and easily on our site. Book the perfect room online today for your trip to this mountainous getaway. Nestled between Lake Champlain and the beautiful mountains of Northern Vermont, Burlington is both a fun and serene place to visit. Whether you're looking to bike the hills in the summer, explore during the inspirational fall, or slide down powdery mountains in the winter, you can find affordable hotels in Burlington, VT. Choose a hotel based on when and where you'd like to visit and find a locale that will match your great itinerary. Burlington is a great place to visit during the summer. Famous for its expansive and breathtakingly beautiful bike paths, you can bring your own wheels or rent a bicycle at Local Motion or North Star Sports. Explore the greater region on the Burlington Bike Path, the Island Line Trail, or the Stowe Recreation Bike Path. You can bike through the mountains or by the crystal water. It's also a great way to travel between locations in downtown Burlington. While Lake Champlain is blue and beautiful during the summer months, you can get out on the water and sail away on The Friend Ship with the Whistling Man Schooner Company. For a relaxing cruise and tour on the water, join A Northern Lights cruise from Lake Champlain Cruises. For a lively way to enjoy the clear waters, stroll along the boardwalk at Waterfront Park. Fall is a season that Burlington does beautifully. View the fall foliage during "leaf-peeping" season in early-to-mid-October in Burlington, VT. Hotels off the beaten path are perfect for catching a glimpse of the gold, red, and orange hues of this beautiful time of the year. Visit The Green Mountain Audubon Center to see natural beauty in its full form. You could also bike the local trails or drive up Route 7 for a free show produced by nature. If you're in the area slightly later in the year and are looking for something a bit spookier, tour the dark streets and join in on a Queen City Ghostwalk. The Wilson Castle can also provide for a creepy evening; attend one of their murder mystery shows. Looking for a view of snow-topped mountains and hills lined with fresh powder? You can find the perfect places for skiing and snowboarding in Burlington, VT. Hotels and resorts pepper the landscape, and within a few hours radius you can find Stowe Mountain Lodge, Bolton Valley, Smugglers' Notch, Whiteface Mountain, Cochran's Ski Area, or Sugarbush Resort. Professional skiers and snowboarders come to Vermont from across the country to rip into this fresh snow, and you can too. Nearby Stowe, Vermont, hits many top ten lists for being one of the best skiing locations within the United States and the world. Look for a stay at a local ski resort, or look up vacation packages to Vermont. Travelocity can create a great deal that includes your flight, car rental, and hotel stay, and provide the opportunity to save when you bundle. At any time of the year, you can find great places to eat in Burlington. Hotels near downtown will have access to a big beer and wine scene and excellent local cuisine. Have dinner at a local favorite restaurant like Vermont Pub & Brewery, The Farm House Tap & Grill, American Flatbread, or Leunig's Bistro & Cafe, or have breakfast at The Skinny Pancake. Those looking for a sweet treat can go for a short drive to the Ben and Jerry's Ice Cream Factory to attend an excellent tour, or they can take part in a Lake Champlain Chocolate Factory Tour. Beer enthusiasts are welcome in Burlington, as it's the home of many excellent local breweries and the Vermont Brewers Festival in July. Be sure to enjoy a Magic Hat Brewing Company Tour while you're in town. Families can have a lot of fun in Burlington, as there are a lot of kid-friendly things to do in the area as well. Take a small child to the Vermont Teddy Bear Factory for a tour of how they make these cuddly toys. More than anything, Burlington gives children the opportunity to learn. Give them a chance to explore the ECHO Lake Aquarium and Science Center, where they can investigate the mystery of Champ, the giant serpent that supposedly lives in Lake Champlain, or see real aquatic life up close. You can also experience hands-on history at the Ethan Allen Homestead, which shows off daily displays and events in a re-created colonial setting. Shelburne Farms is also a great place to visit for kids, which includes a museum, a garden, and a farmyard. Children can pet rabbits, brush sheep, spin wool, and see live birds of prey. This experience encourages children to continue to treat animals with respect throughout their lives. You can find great things to do no matter when you're staying in Burlington. Hotels in Burlington, VT, may even be a walking distance away from the Church Street Marketplace, which is always bustling with activity and local vendors. Adults can check out to see what's playing at the local hub of culture, Radio Bean, or just take a walk along the beautiful University of Vermont campus. While you're there, visit the Robert Hull Fleming Museum of Art to see exciting exhibits. Plenty of local events happen around the clock; browse upcoming events happening at the Flynn Center for the Performing Arts. Tour the Shelburne Museum, soak in culture at a local coffee shop, or take a casual stroll on the boardwalk. Relax and breathe in the fresh air of upper Vermont. 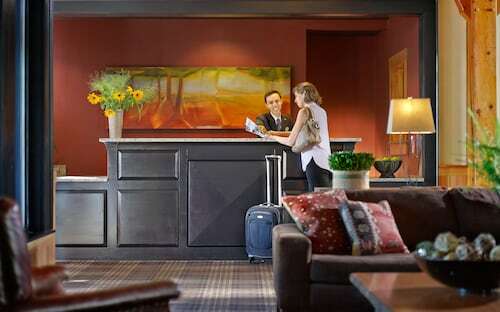 Have a great stay in beautiful Burlington and book your room today with Travelocity! It was clean friendly and convenient to stores & restaurants. The rooms were a great size and the bathrooms had jacuzzi tubs which was a nice bonus. There was plenty of parking so we never had to worry about finding a spot. They offered a free continental breakfast and it was great! We were expecting donuts and bagels and coffee, but they had a waffle maker so you could make your own waffles, eggs, omelettes, yogurt, coffee, juice, bacon, fresh fruit, English muffins and a lot of other things as well. And all of it was fresh and hot! It was near a main highway and easy to find. It was across from a mall and within walking distance to plsces to eat. The pool slide was pretty cool. The suit was perfect for our family.